When you need a ‘filler’ present (because you already bought a really great ‘big’ present,and one really great ‘medium’ present but there’s something missing), the $40 benchmark is usually a good one to set. And because ‘filler’ presents need to be quicker and easier, we’ve done the hard work for you! Muse over 10 really great gifts that cost less than a Unami Burger for 2 (with sides and a drink). Erno Laszlo’s hydra-therapy bespoke cleansing set is a memorable gift. When combined, the cleansing oil and bar create a purifying mask that effectively sweeps away dirt, oil and impurities from pores. 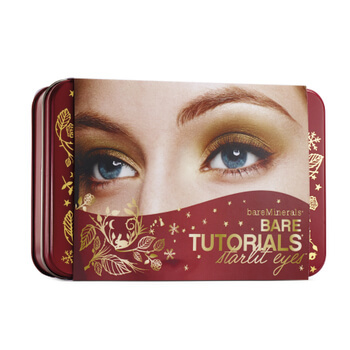 Suitable for all skin types, this is a radiant glow packaged in a travel-friendly compact case. The skincare duo will soon cement its place in your recipient’s skincare regimen and you will forever be remembered. Pamper dry and sensitive skin with the Love the Winter Holiday Kit from Ole Henriksen. Containing a trio of protective treatments, the set harnesses the powers of natural extracts and essential vitamins to combat harsh winter weather that can cause dryness, irritation and inflammation. Every beauty maven needs the beautyblender pro.on.the.go kit: the key to flawless make-up. The set contains two of award-winning make-up sponges for effortless application of cream foundations, concealers and contour products. The blotting cushion ensures a long-lasting and shine-free finish and the solid cleanser will fix up make-up brushes and sponges to keep them sparkling clean and residue free. Sigma’s all-time, best-selling foundation brush meets most-wanted brush care with The Classic Express Brush Duo. The Set Contains the Express Brush Cleaning Glove, which quickly and effectively home cleans make-up brushes. The Farmhouse Fresh Sweeping Softness Sampler Set is the perfect ‘filler’ gift. It contains travel sizes of •The Sweet Cream scrub: a charming vintage-chic fine grain scrub for huggably soft hands, feet, elbows and knees •The irresistible Whoopie Cream shea butter lotion: scented with fond memories of white velvet cream and moist layer cake. •Agave Nector body oil: A powerful anti-aging massage oil, rich with extracts. 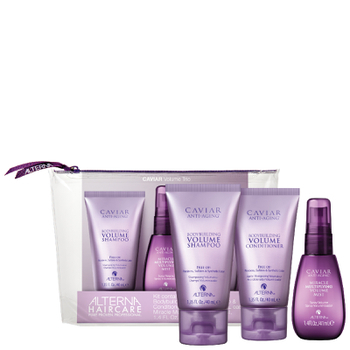 Make it a wonderful Christmas with Alterna's Caviar Volume 3 Piece Try Me Kit – the starter pack for glossier , healthier hair. Together, the combination of shampoo, conditioner and hair CC cream are committed to strengthening damaged hair whilst enhancing shine and protecting against future breakage. Everybody loves a sheet mask, and Wilma Schumann’s Masque Variety pack raises the bar with four of the hydrogel variety. These premium face masks make for a brilliant gift, vibrant complexions and hilarious selfies. June Jacobs’ Lip Renewal is infused with emollient peach, jojoba and coconut oils along with cocoa butter, shea butter and vitamin E to provide instant and continual hydration. This formula also dramatically reduces the appearance of lip furrows, leaving them plumper. 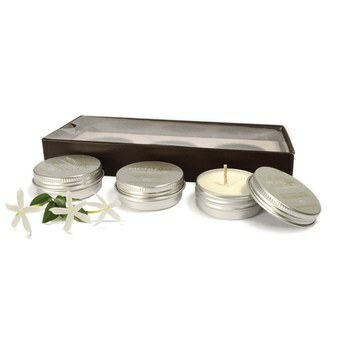 Give the gift of relaxation with the MONU Spa Massage Candle Trio, using beautiful blends such as jasmine and ylang ylang. These multi-functional candles can be used as massage mediums, hydrating, moisturizing products or as beautiful scented candles in the home. They can also be used unmelted as a rich balm. Presented in a gift box, the collection is the perfect treat for those who enjoy/need a little 'me' time.